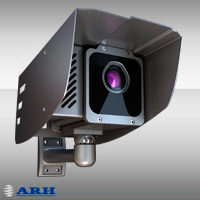 SmartCAM is an all-in-one digital IP camera for traffic systems with a built-in illuminator and integrated processing unit. The camera is able to autonomously run license plate, container code, and code recognitions or any other ORC-based application for dedicated databases. The camera's built-in processing unit is an industrial strength computer with its own Linux operating system, which can be also replaced by Windows OS as an option. The device contains an embedded server to allow access via common web browsers. Among others, this IP connection permits for real-time image manipulation, correction and enhancement tasks through the camera's digital signal processor (DSP).